Adams Rite, part of ASSA ABLOY Security Solutions, has worked with Jack Aluminium Systems to produce a new thermally efficient anti panic single doorset, which meets the UK security standard PAS24. The TD68 anti panic doorset incorporates the innovative Sentinel M 3 point anti-panic lock with a 3 star security cylinder, offering three points of trusted locking, whilst still allowing for quick and easy egress due to its unique orbital latch design. 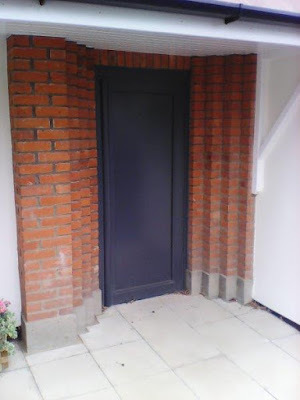 The doorset has been successfully tested to PAS24, providing the benchmarks to show the doorset has the capability to withstand a number of attacks and is suitable for use in public buildings, such as educational establishments. “Adams Rite provided us with a quality product and offered us useful advice throughout the development of the TD68 anti panic doorset. “Some opportunists have been known to gain unauthorised access to buildings from the outside by using string to operate panic bars. The TD68 anti panic door has a device at the top and the bottom of the doorset to prevent this. “We have been working with Jack Aluminium for three years and are pleased that we have been able to offer them the support they needed to launch the TD68 anti panic door. Low Cost and Free Publicity - Your company can easily benefit from some publicity like this in return for a contribution towards our layout costs (typically £30 plusVAT), payable via PayPal or credit card or receive the service absolutely free of charge if you advertise (see below).